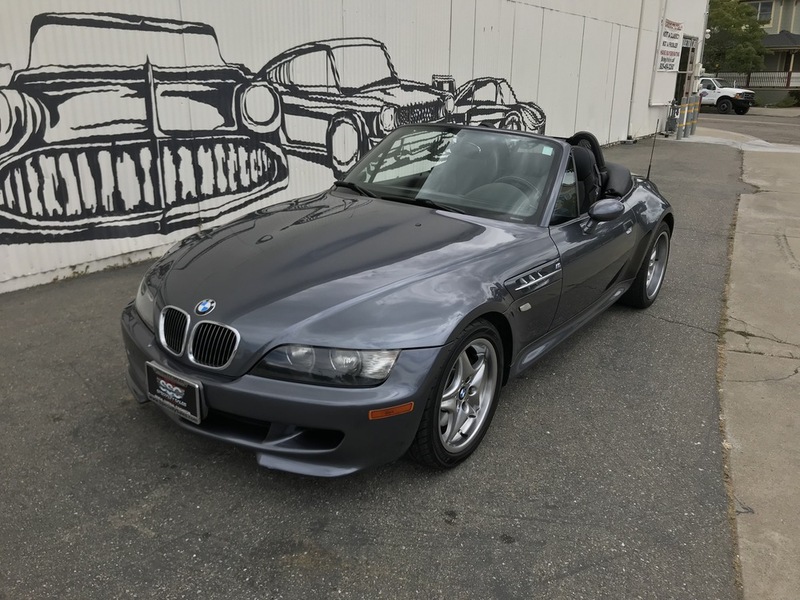 New to our Pleasanton showroom is this highly impressive 2002 BMW Z3 M 2 Door Roadster with silver exterior paint and a black leather interior. 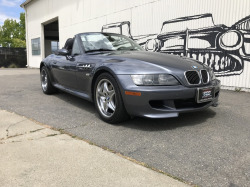 You’ll find a 3.2L straight six cylinder engine under the hood with a five-speed manual transmission and this gorgeous little roadster is completely loaded with power everything, traction/stability control, a power top, cruise control, a great sound system and so much more. 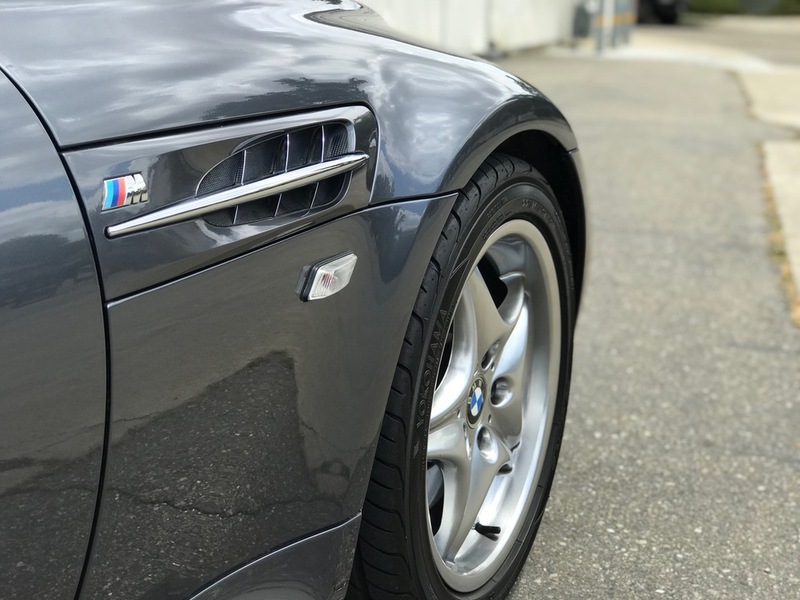 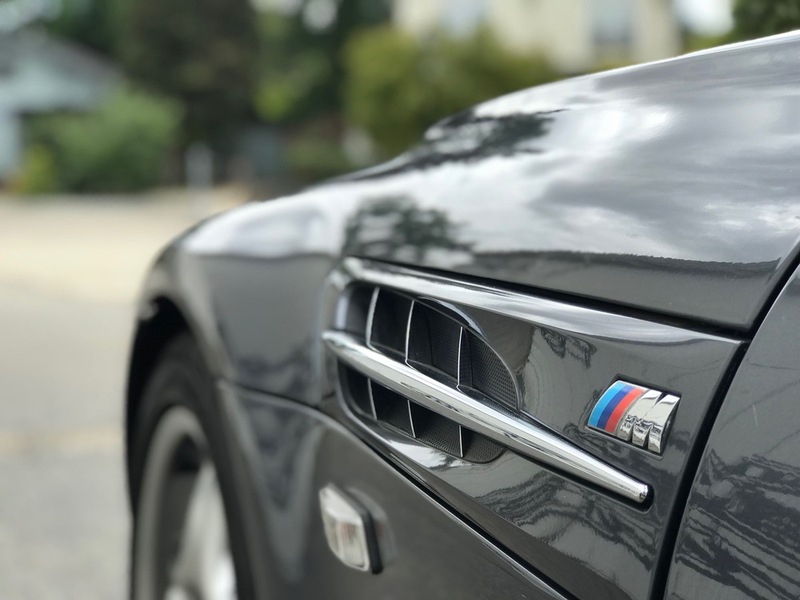 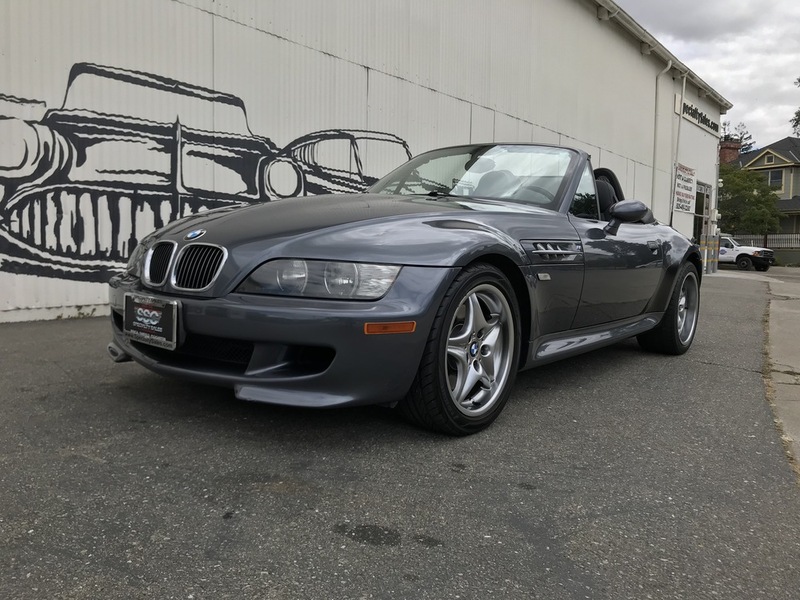 With a mere 45,592 lifetime original miles, this luxury sports car is in amazing overall condition and it delivers exceptional performance when turned loose along the California coastline. 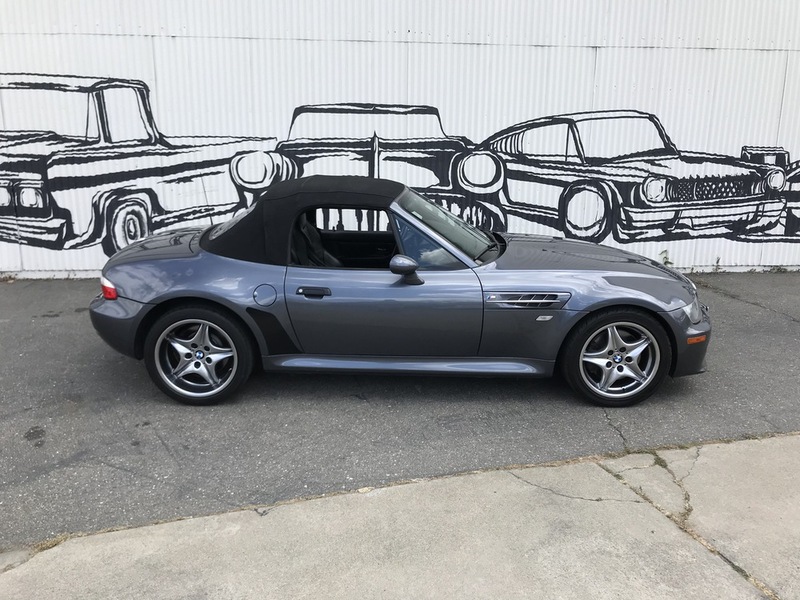 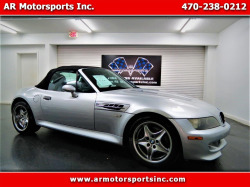 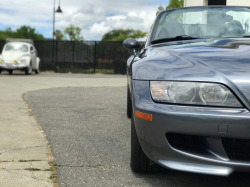 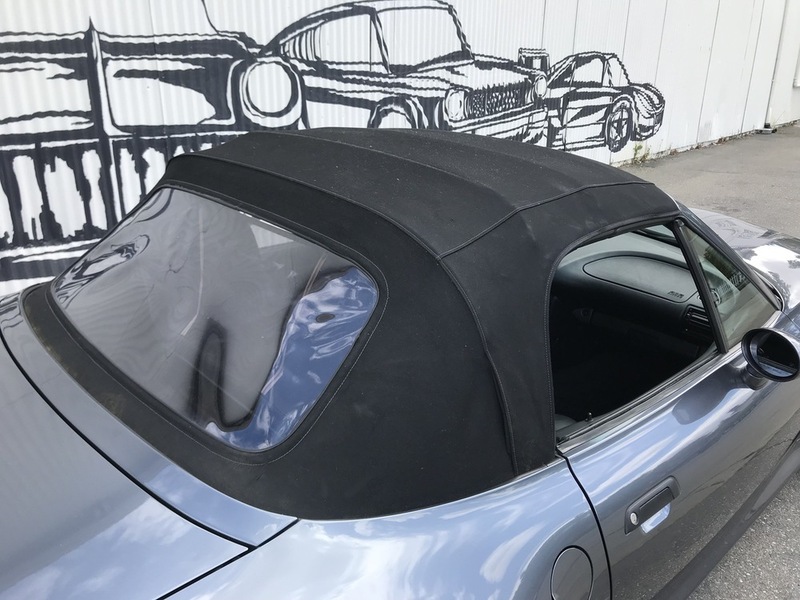 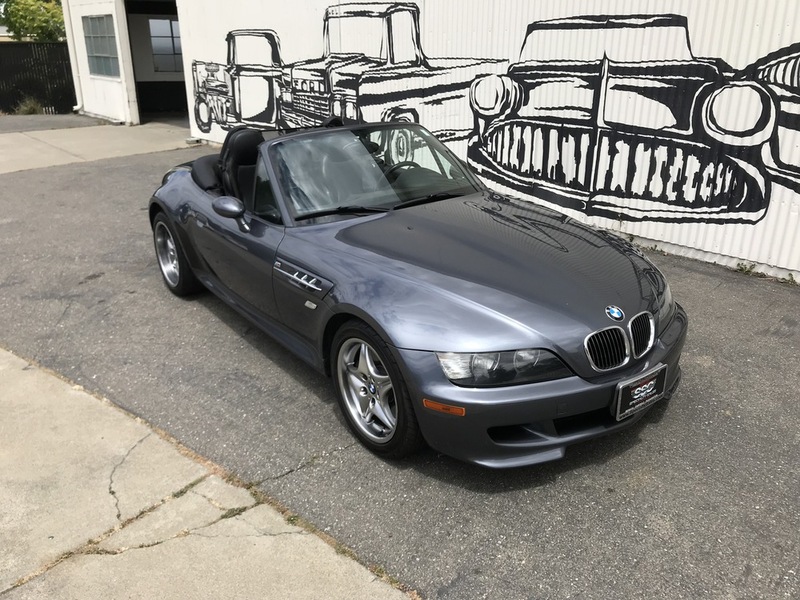 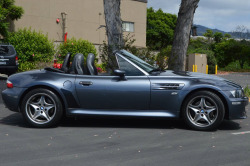 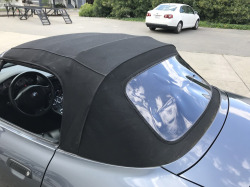 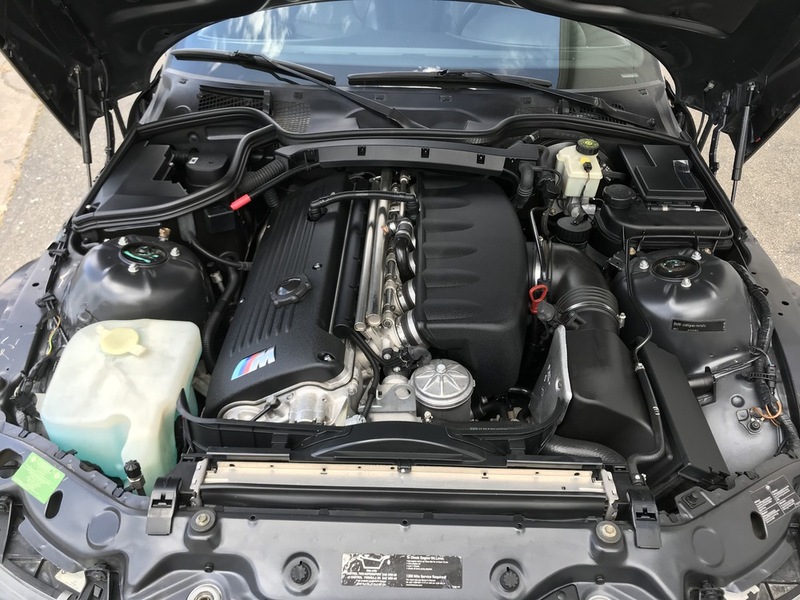 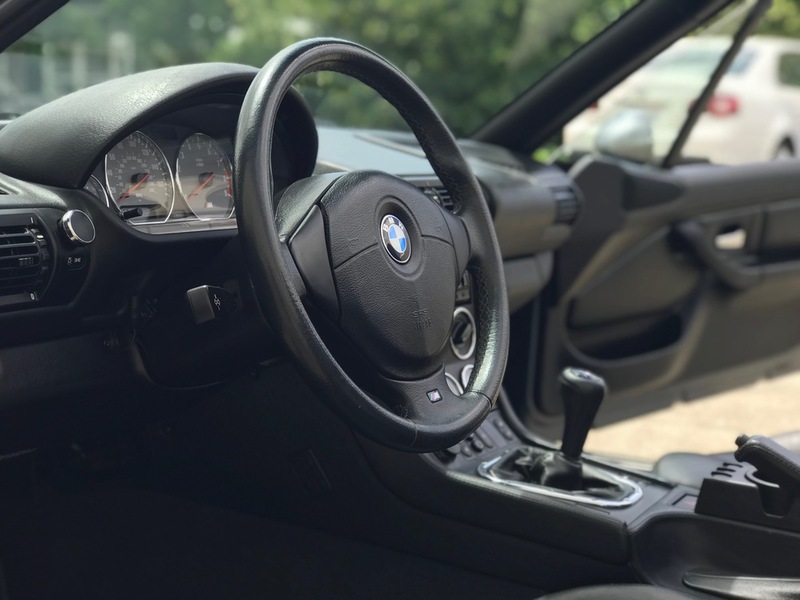 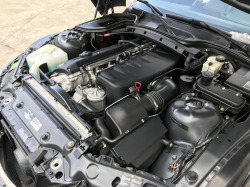 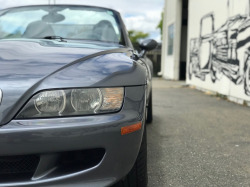 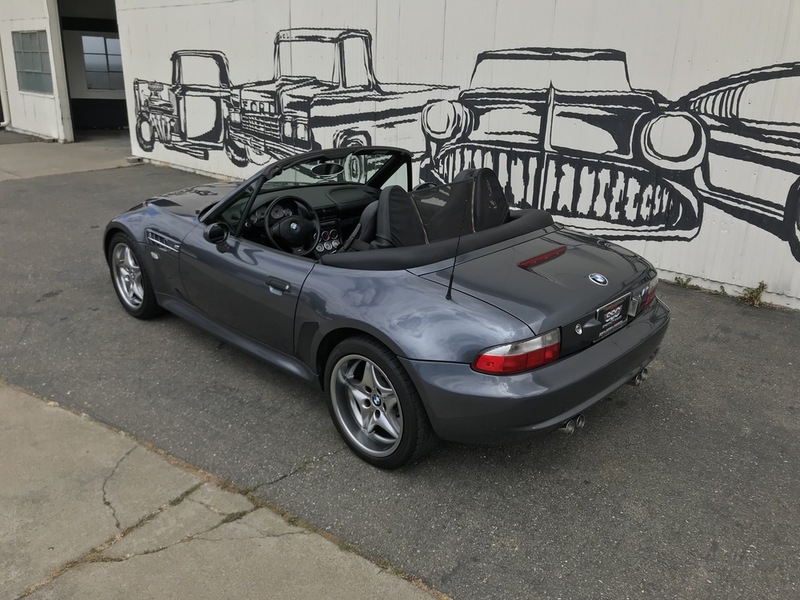 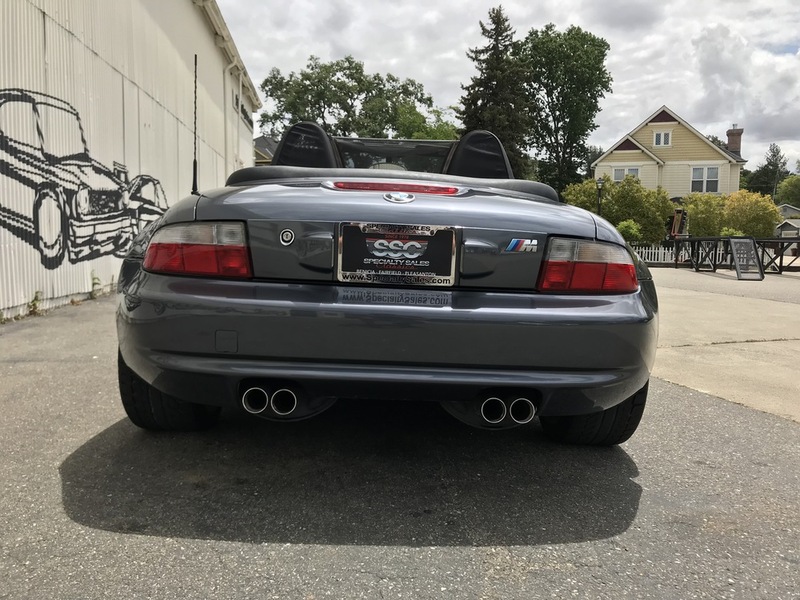 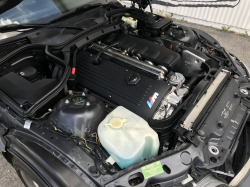 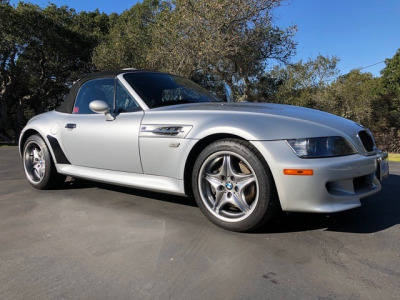 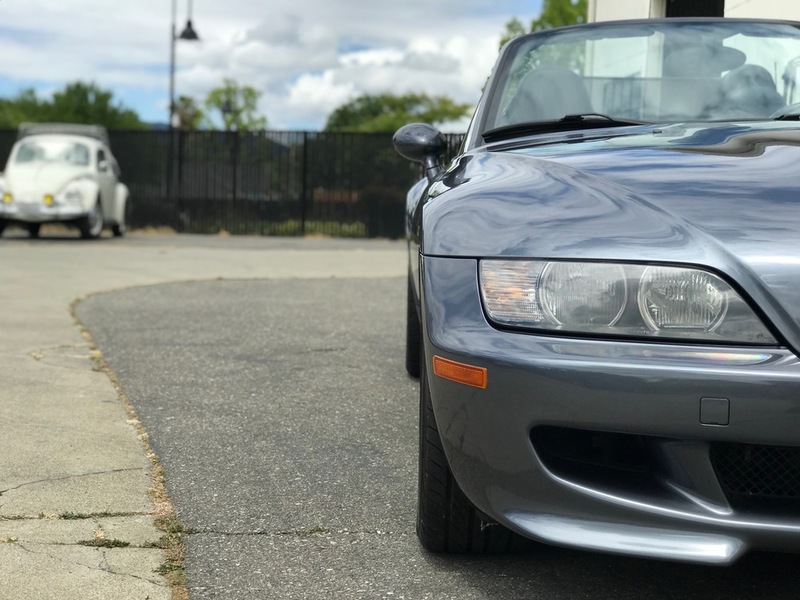 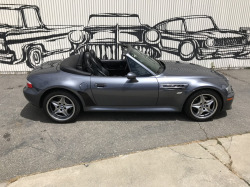 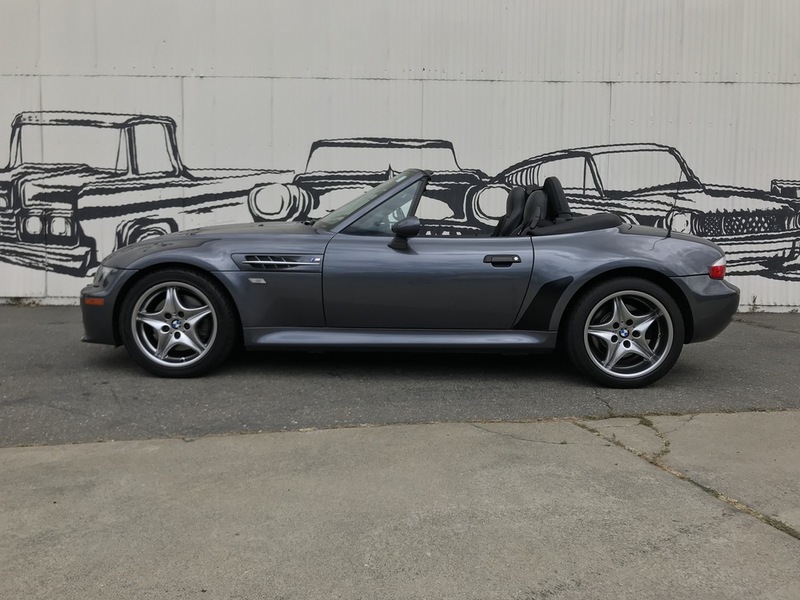 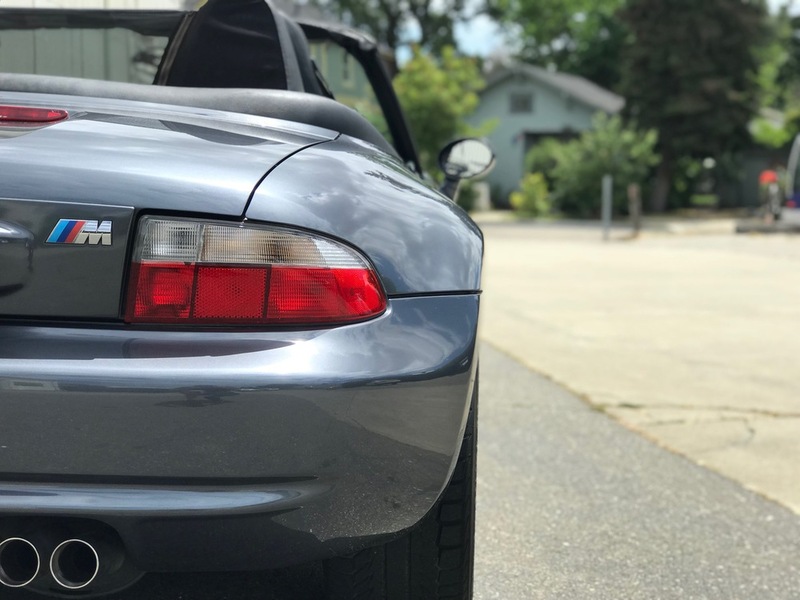 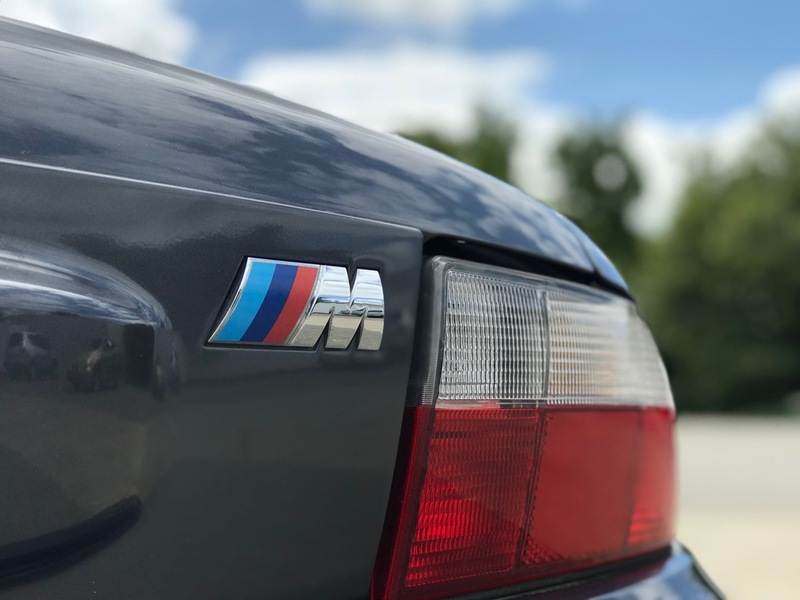 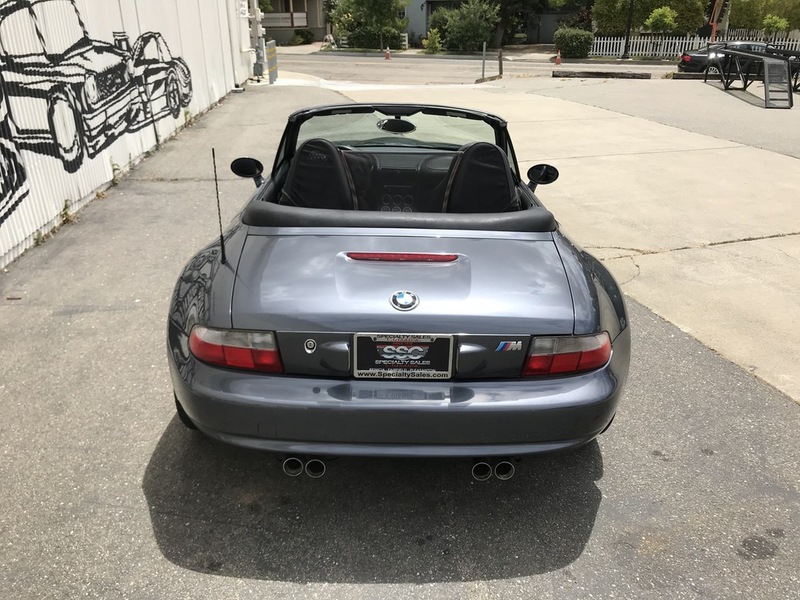 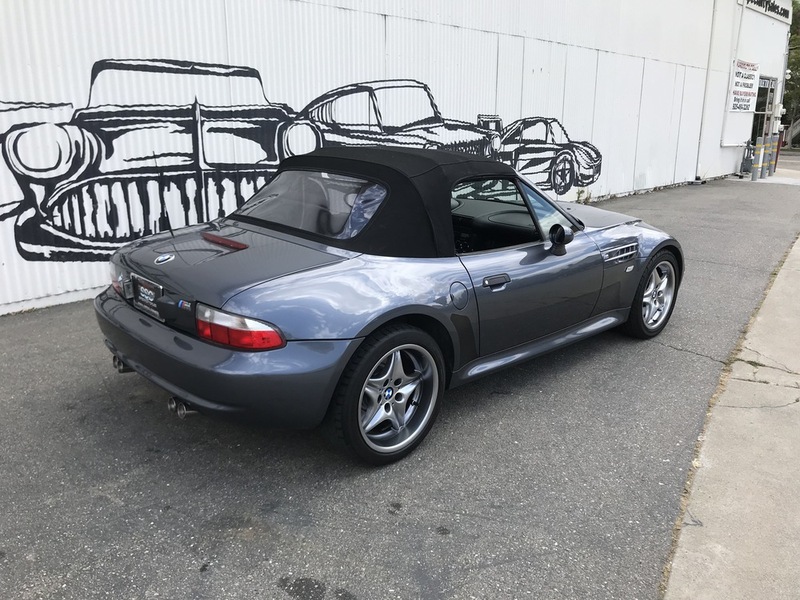 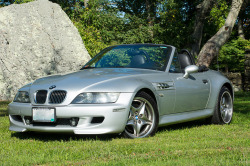 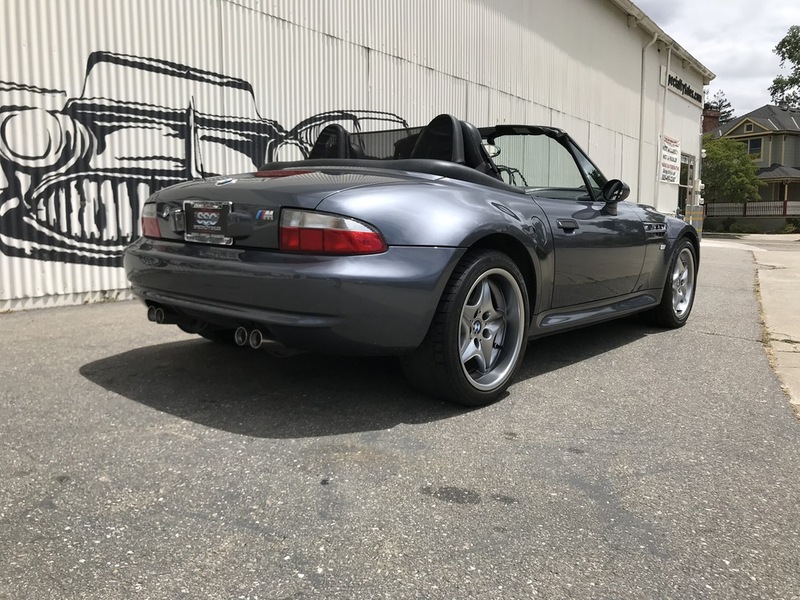 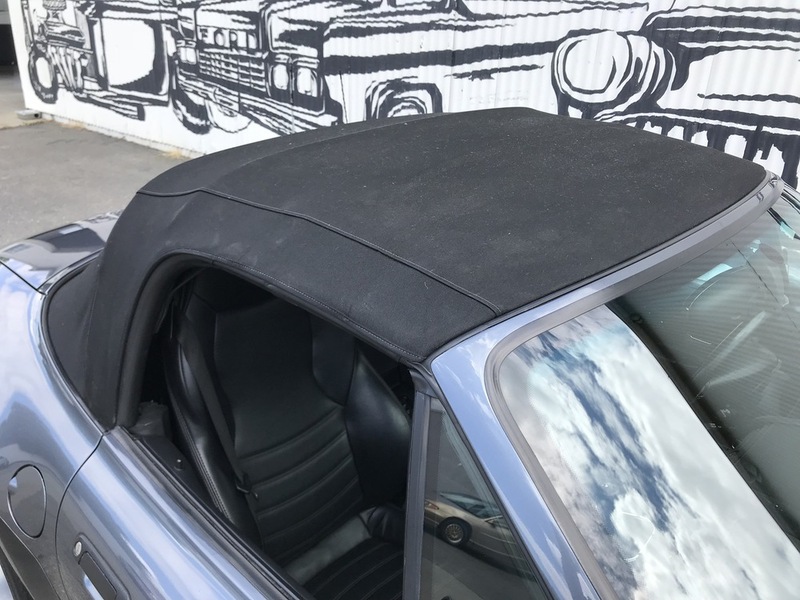 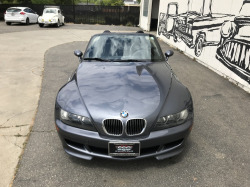 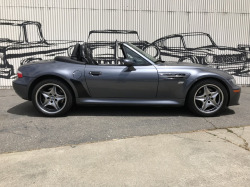 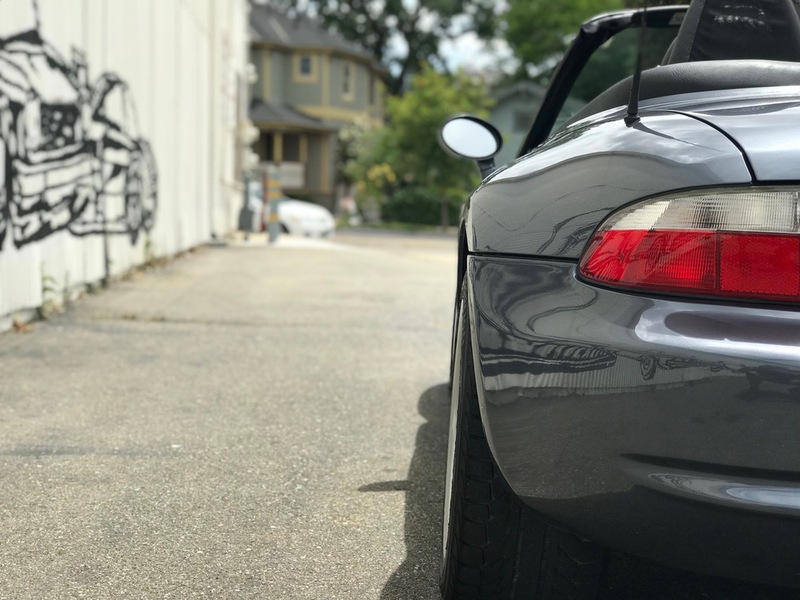 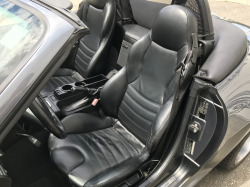 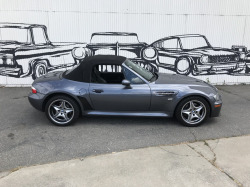 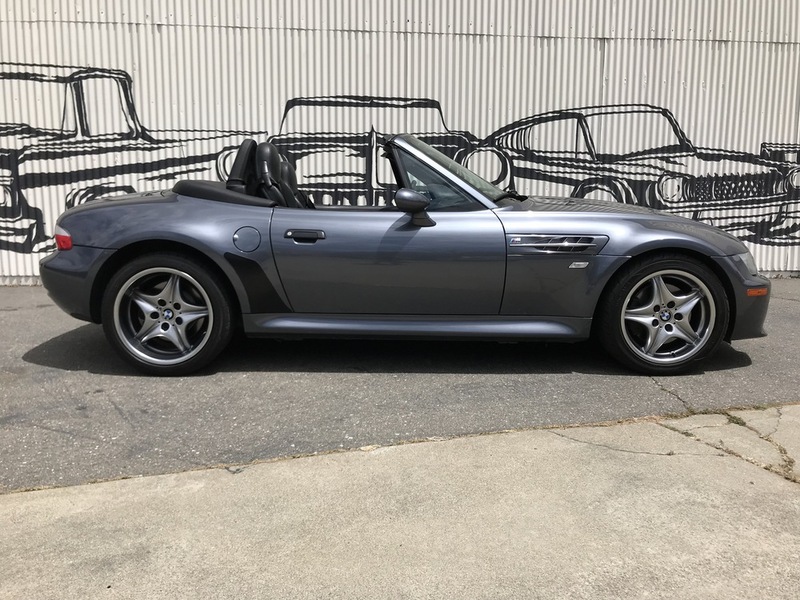 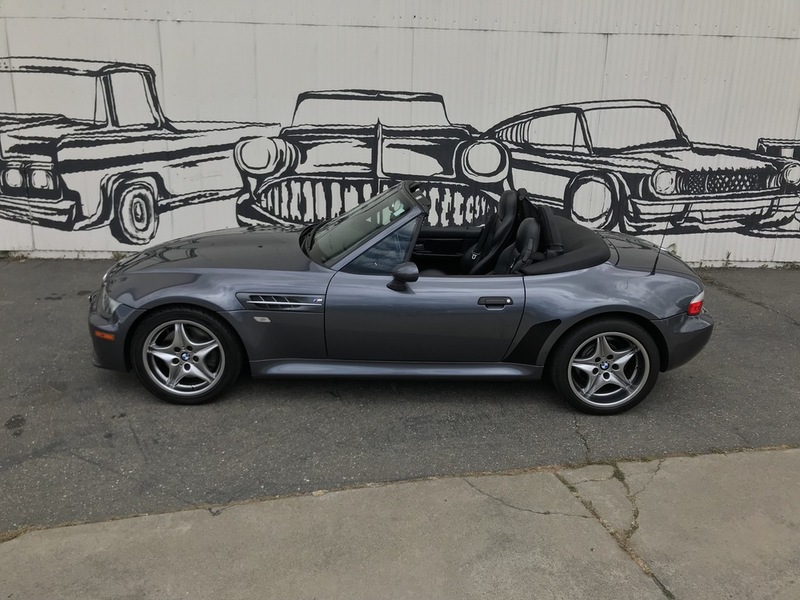 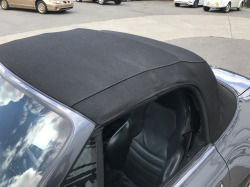 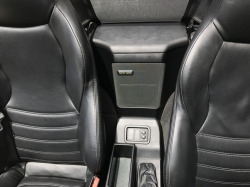 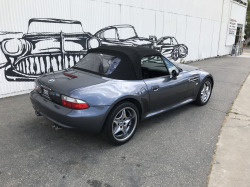 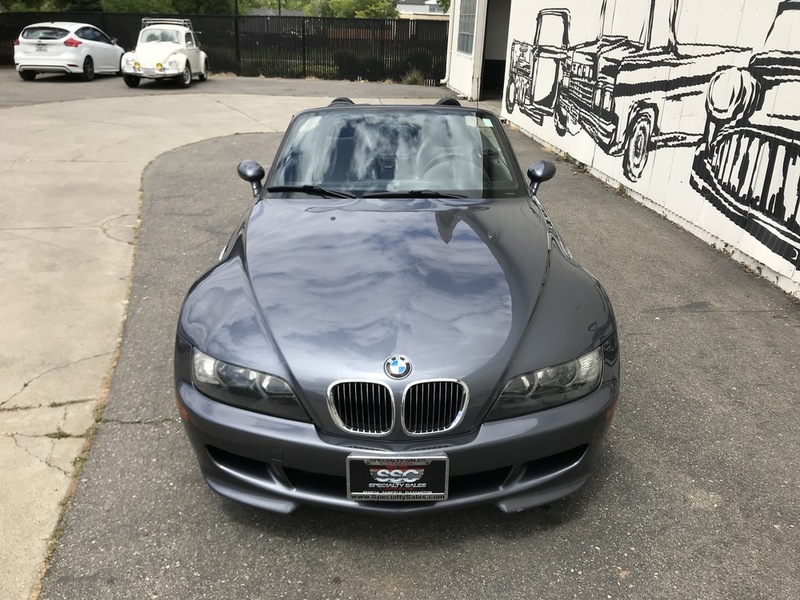 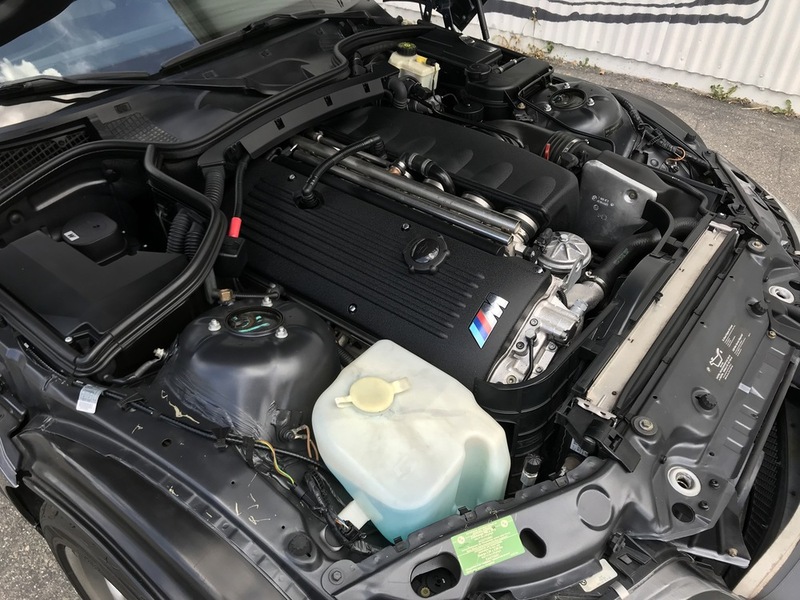 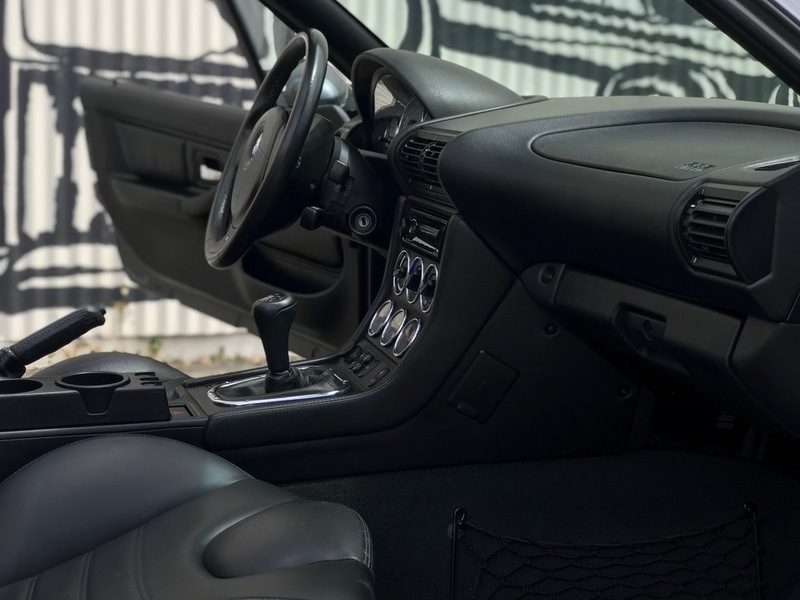 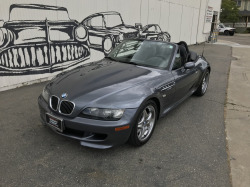 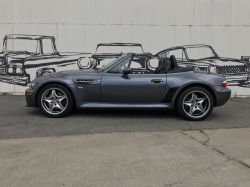 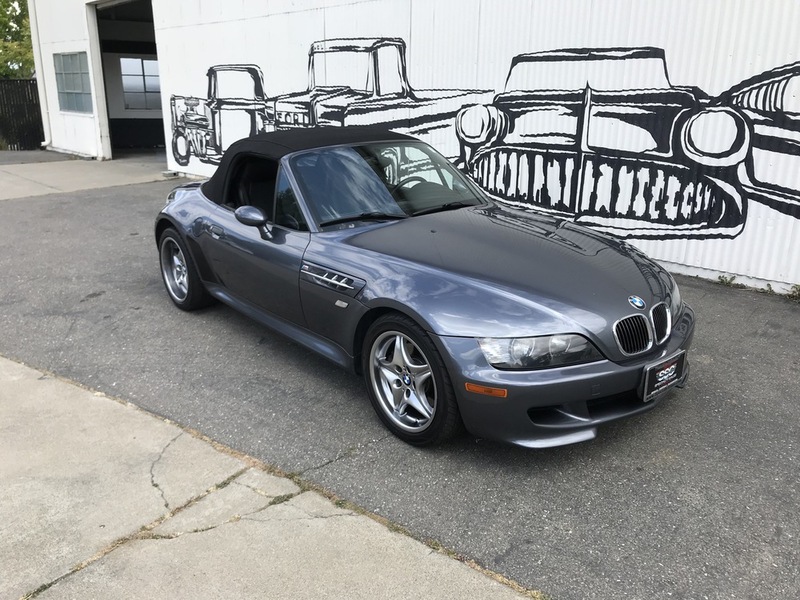 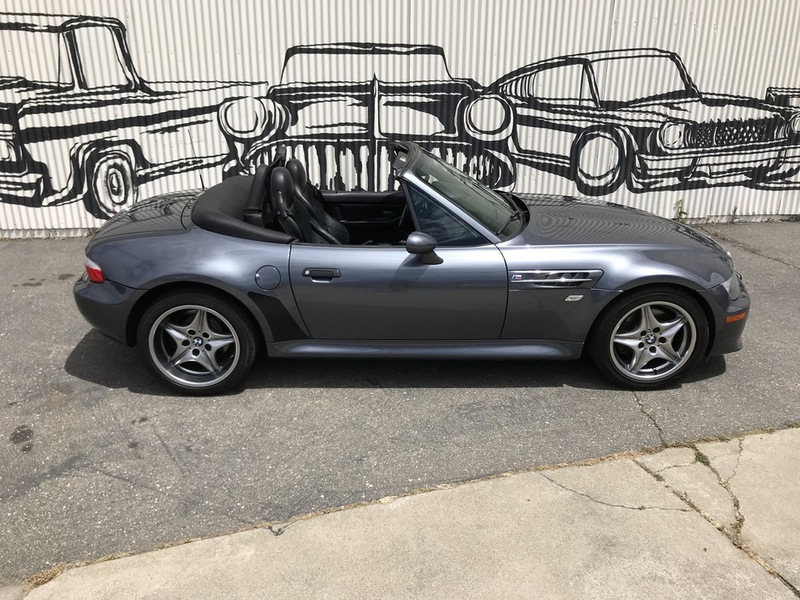 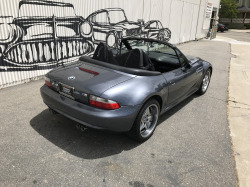 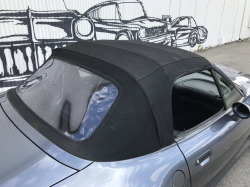 The current owner informs us that this 2002 BMW Z3 M Roadster was originally purchased in Houston, Texas and came to the West Coast when he took possession in 2016. 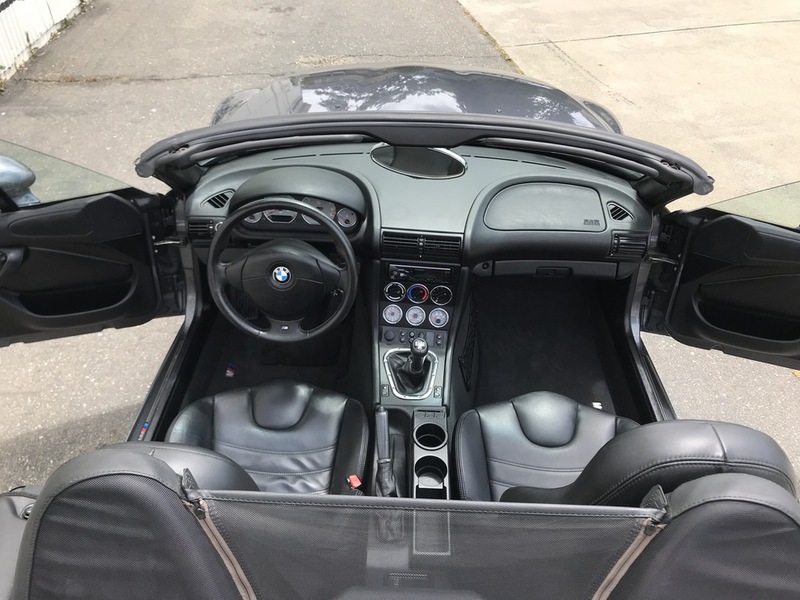 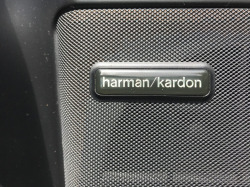 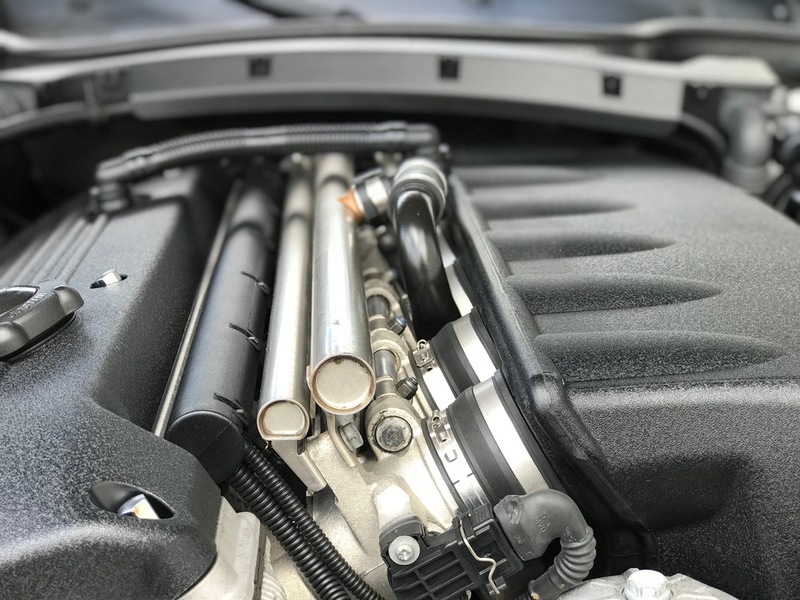 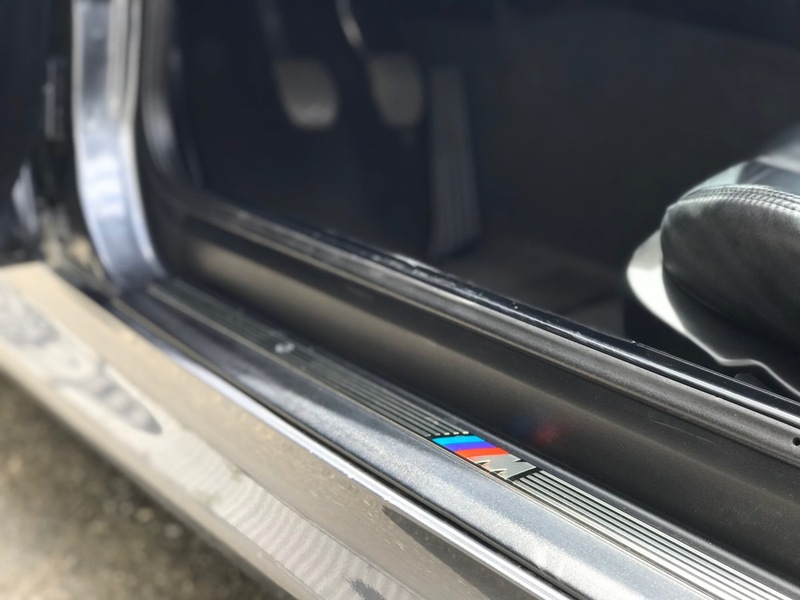 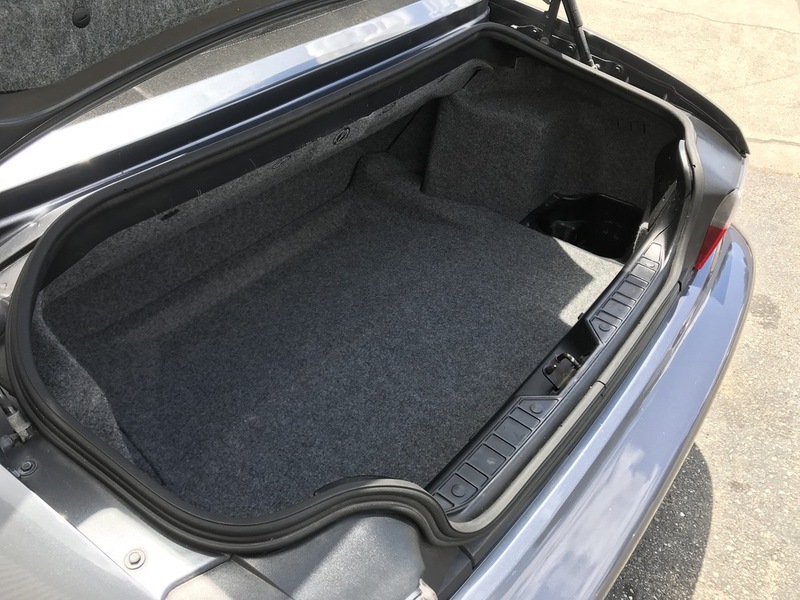 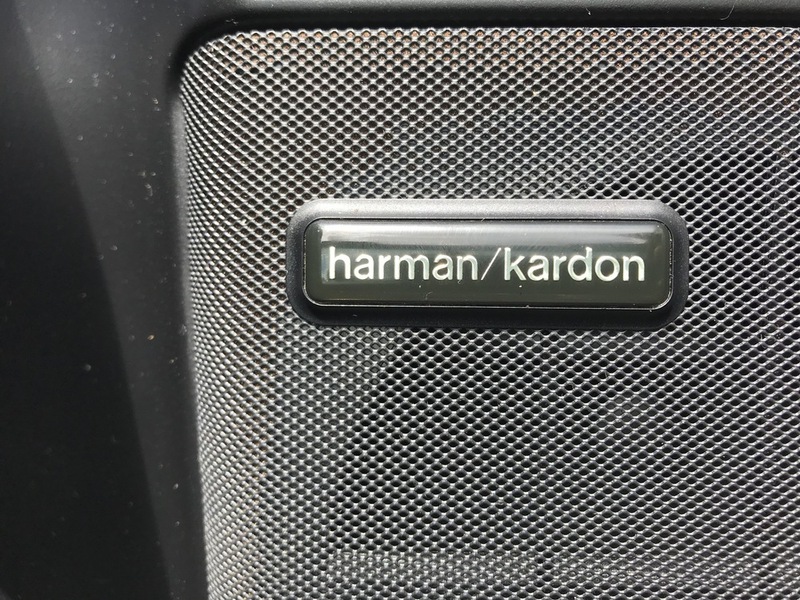 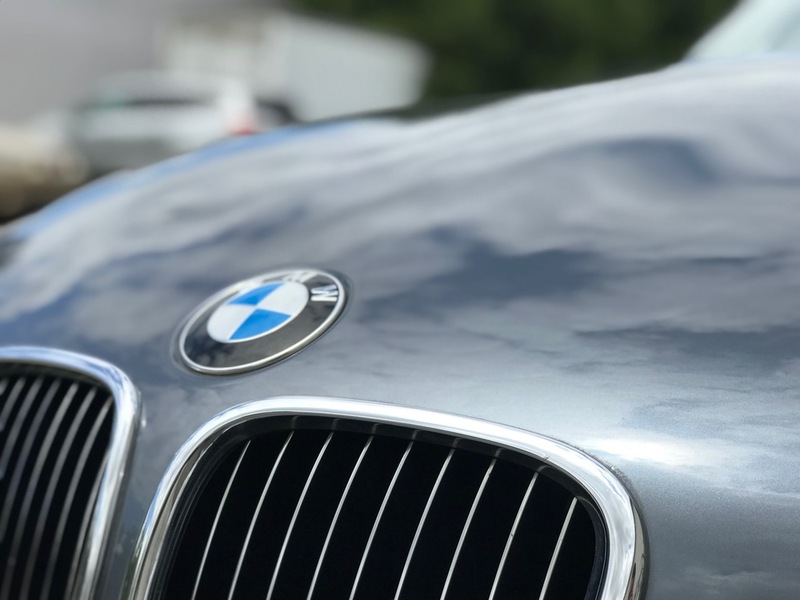 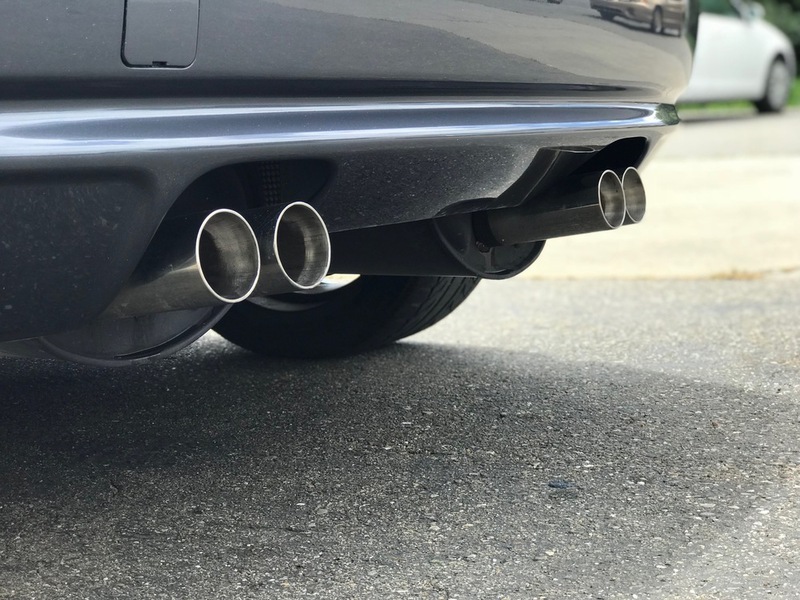 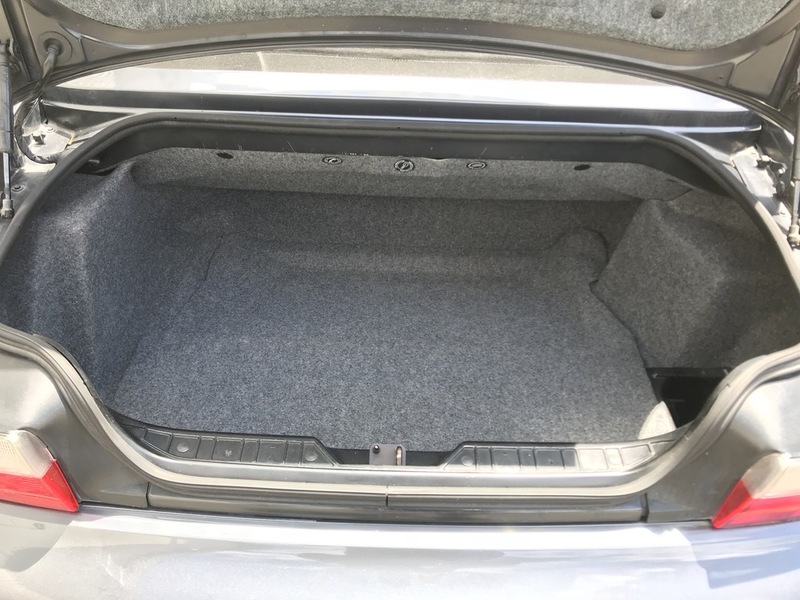 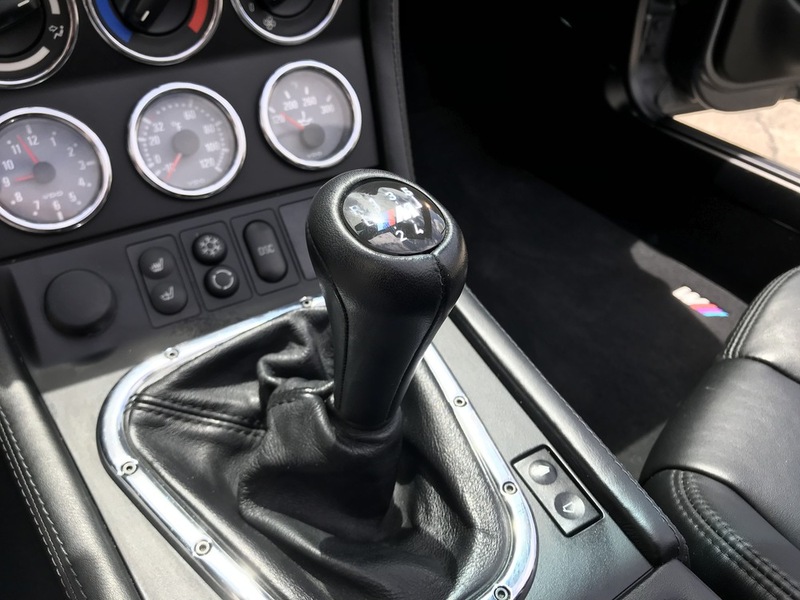 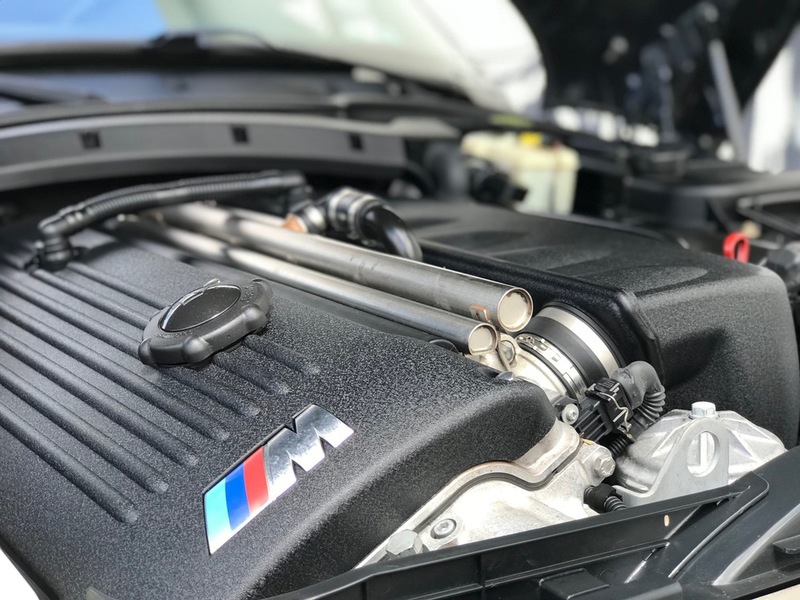 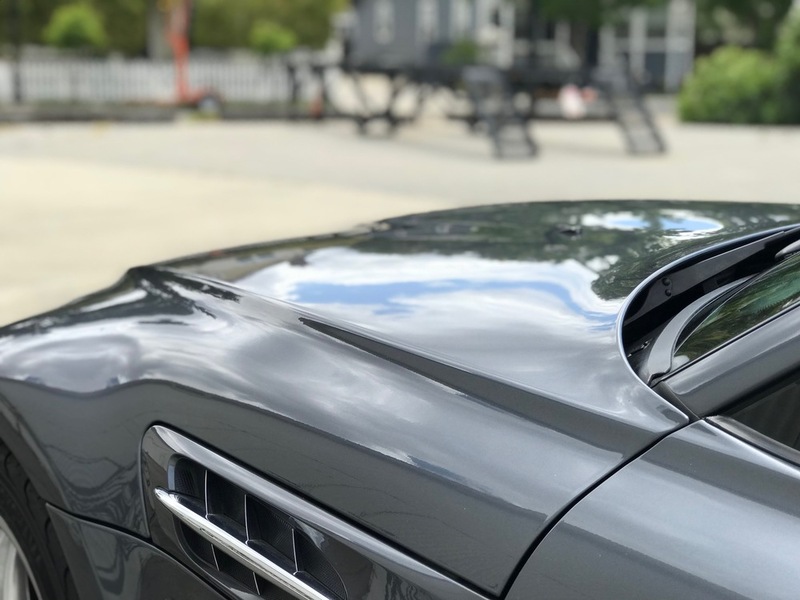 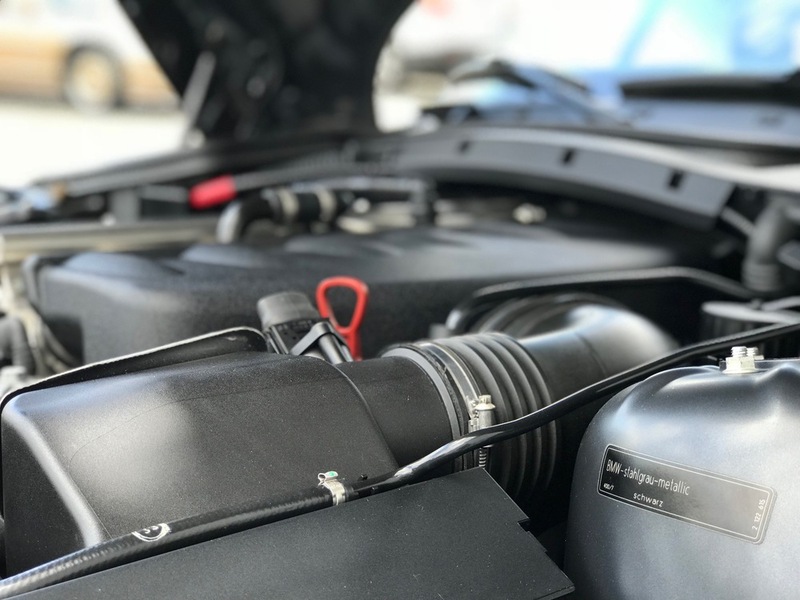 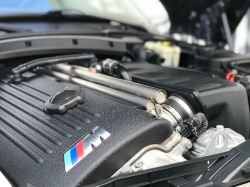 He was drawn to this 100% luxury sports car because of the low mileage and excellent overall documentation, and an up-close inspection shows an ultra-clean sports car that has only insignificant levels of wear and tear. 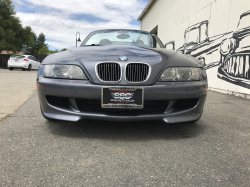 There are a few minor scratches in the exterior paint but the body is in excellent overall condition. 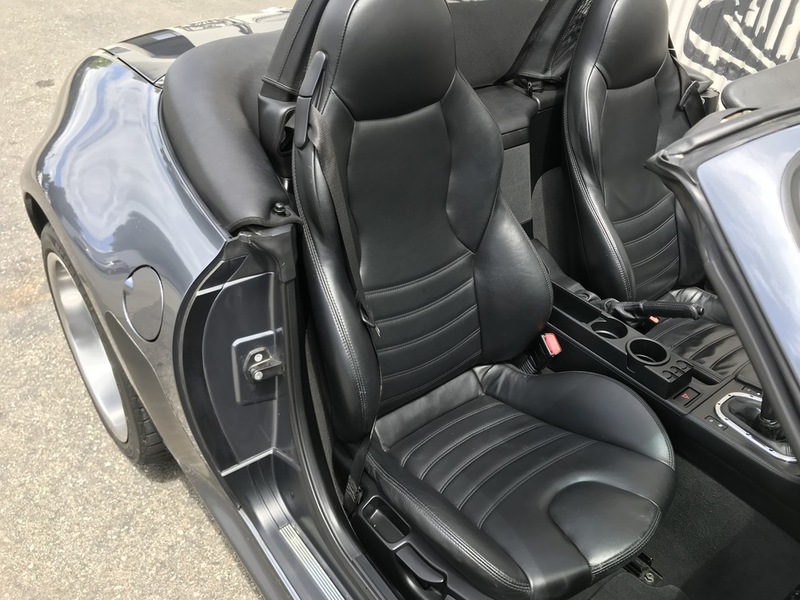 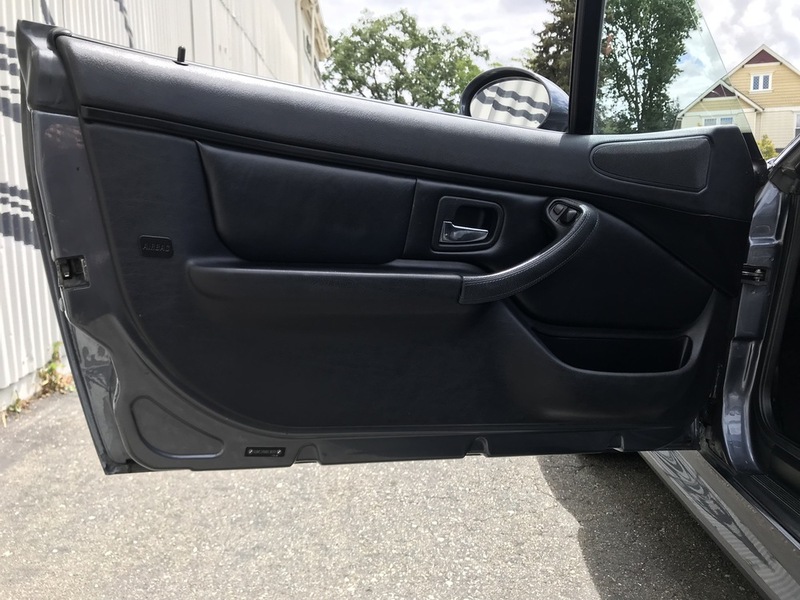 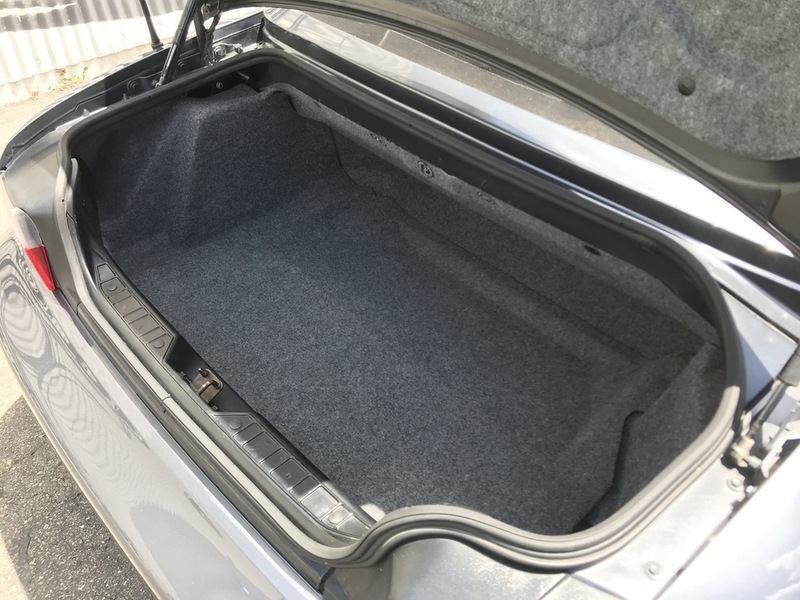 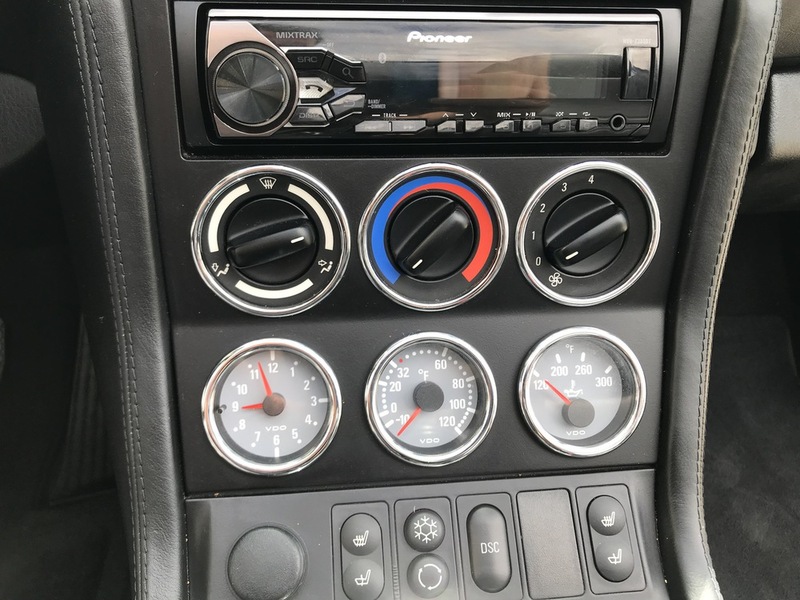 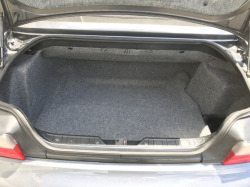 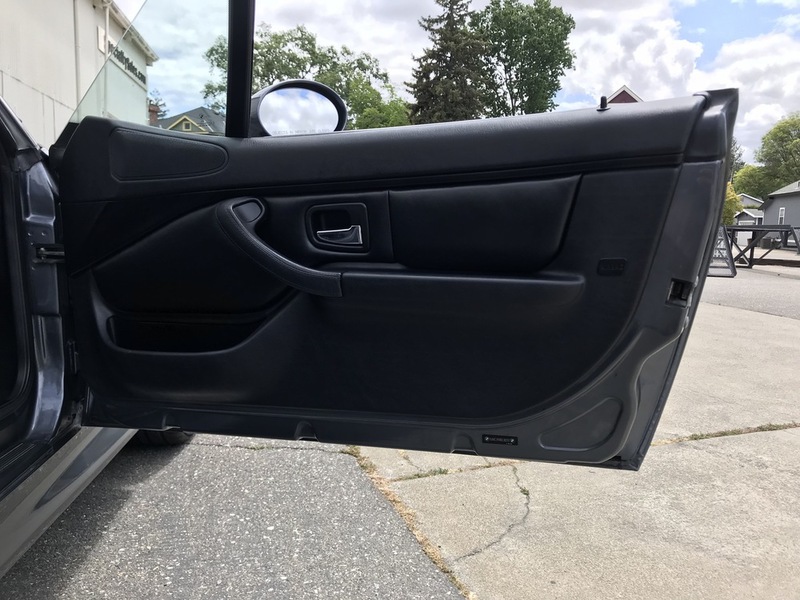 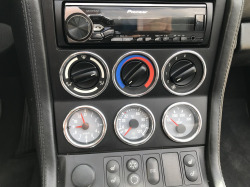 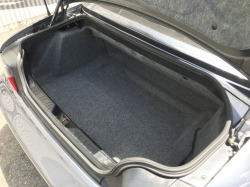 Likewise, the interior and engine compartment are super clean throughout and close to like-new in appearance; this one shows great in person and it is ready to enjoy right away. 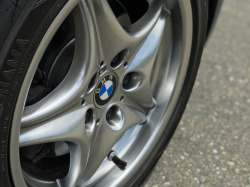 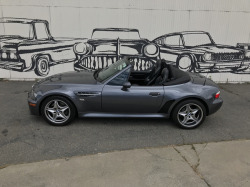 Additionally, this 2002 BMW Z3 M Roadster drives like a dream with fantastic acceleration, handling and stopping power. 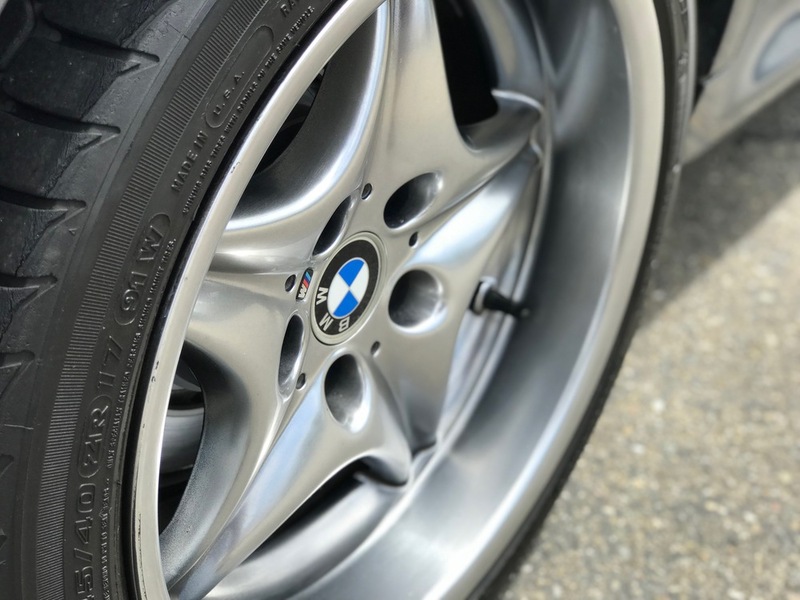 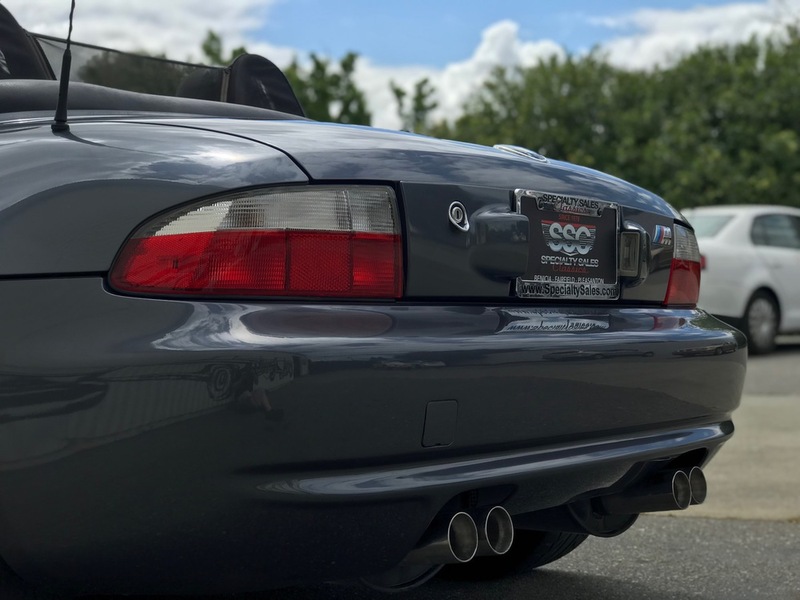 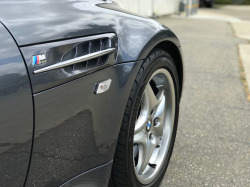 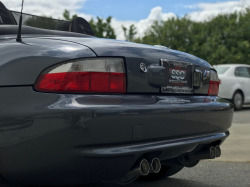 The Z3 M line was produced from 1999 to 2002 as a high performance variant with a factory upgraded suspension plus BMW’s traction and stability control and offset wheels/tires to provide a more aggressive stance. This particular example is very impressive on the open road and it does everything well; it simply begs to be driven. 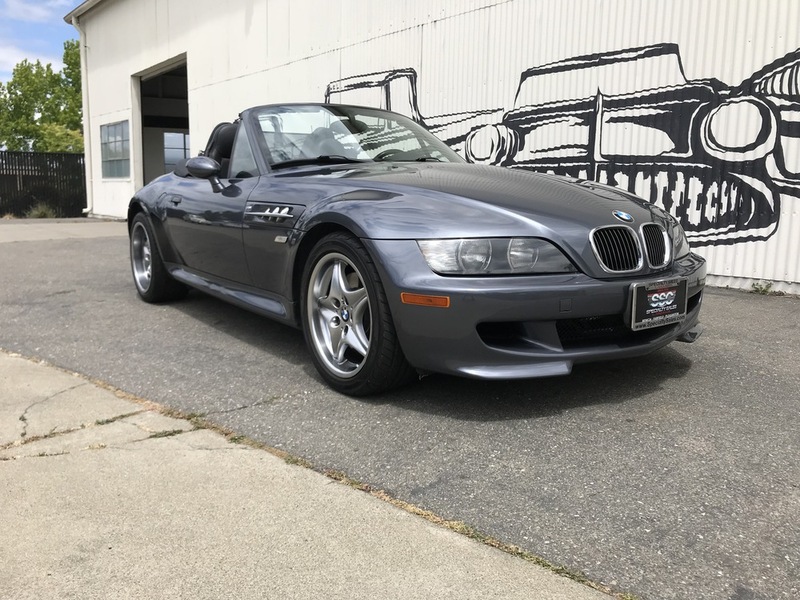 Overall, this 2002 BMW Z3 M Roadster is a beautifully kept low mileage luxury sports car that is an absolute pleasure to drive. 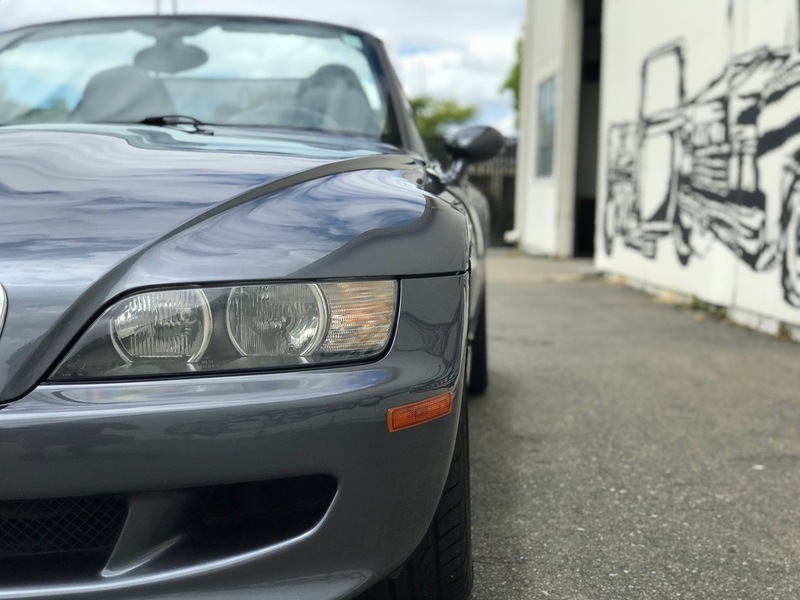 With a conservative asking price, there’s simply no way that this well-kept roadster will remain available for long. 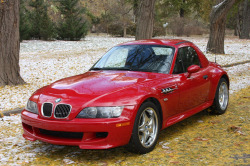 Price reduced to $23,990 from $26,990 whichs eemms like a pretty good deal even with the history. 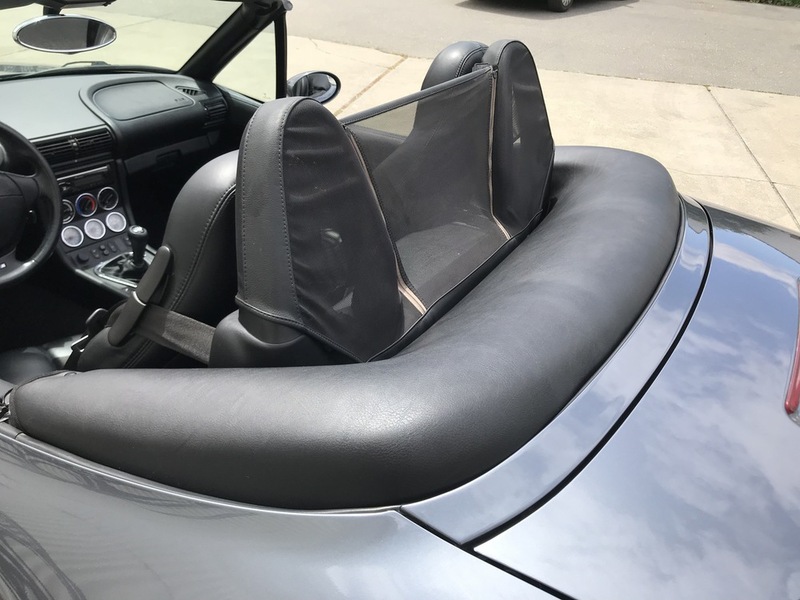 We saw this roadster for sale in Texas last year. 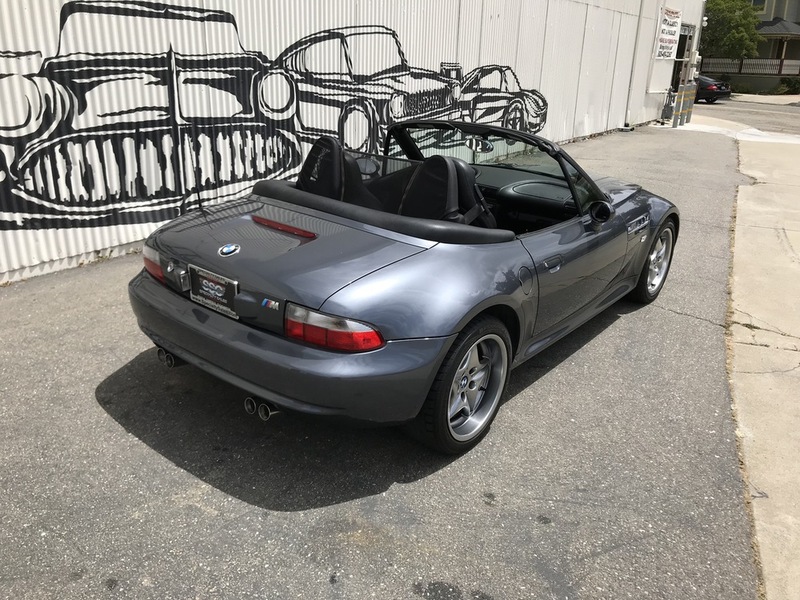 It still looks very nice, and I of course love steel gray. 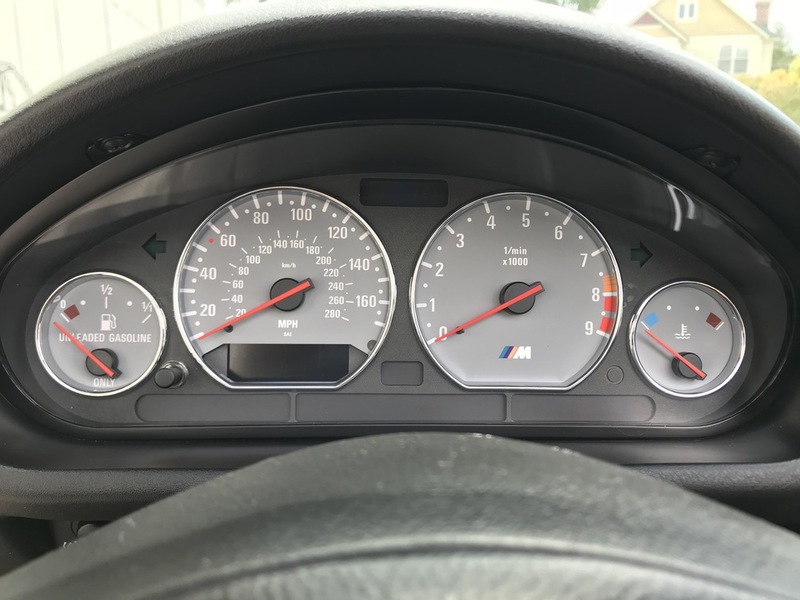 It appears to be all stock. 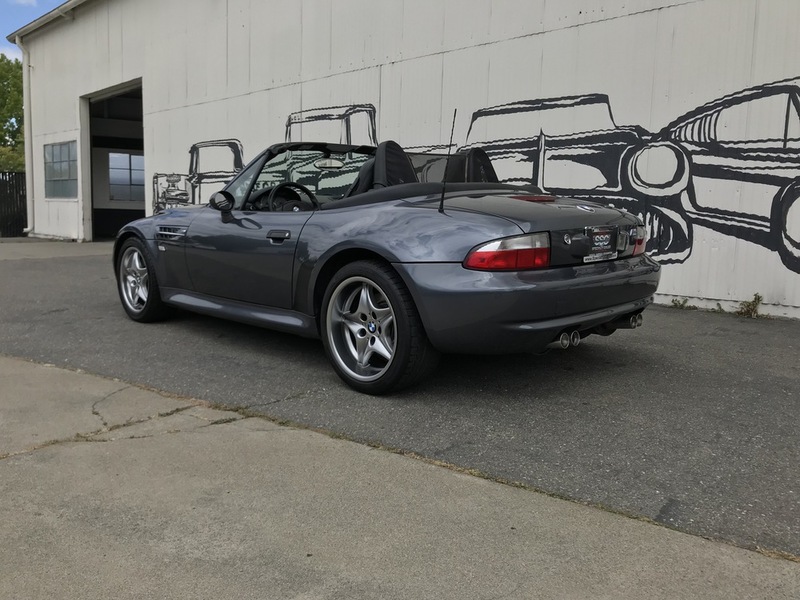 It has a little bit of history you can see in the previous listing comments.